I don’t know if you’ve noticed but I’m obsessed with bath bombs, so far I have only used the ones from Lush though. The latest one is Fizzbanger. This is a repeat purchase and I already know that I’m going to be buying it again in the future! I don’t usually take baths much in the summer as it is just too hot for that but as I write this it has been cooler lately… and with the temps down and my anxiety high, a bath seemed like the best idea. I find watching the bath bombs spinning around and releasing colours to be relaxing. It’s fun to take a colourful bath sometimes and this one was no exception. The water turned pretty green which I always find to be cool. 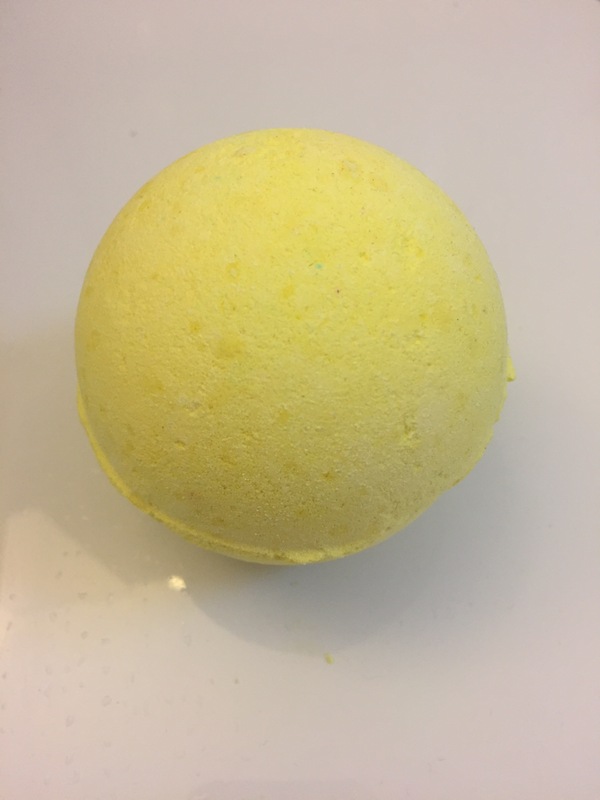 Its unexpected for most as the bath bomb appears all yellow on the outside. The smell is just right, not overly strong but strong enough that you can smell it. It smells like apples and maybe a bit of cinnamon… kind of like an apple pie! Of course there is a reason for the Fizzbanger name as well! Keep your eyes peeled for this little guy when you use this one. Apparently it has some sort of popping candy or something in it too that adds to the fun. 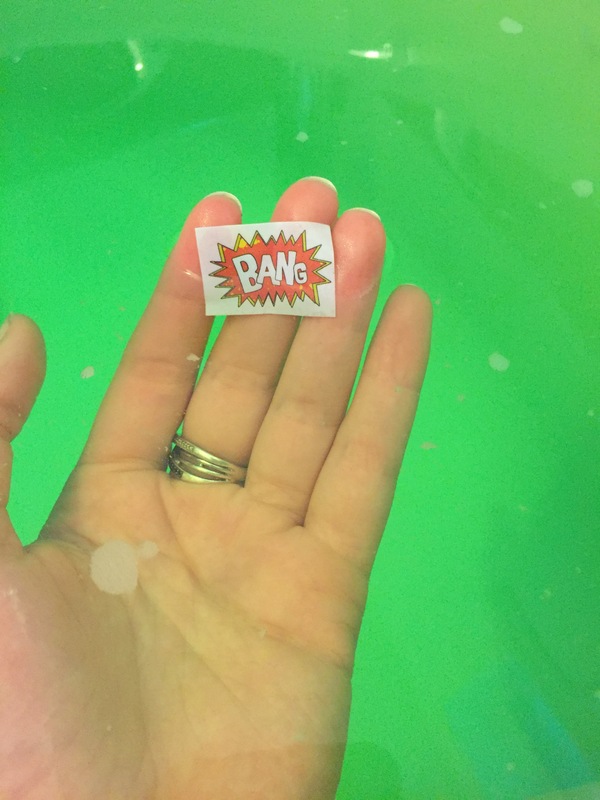 I love this bath bomb obviously but I also think it would be great for a child! They would love the colours and note in it too! This one is vegan which I think is pretty cool. I always love supporting Lush. They work to fight animal cruelty and all of their products are of course cruelty free. What’s your go to bath bomb? Have you tried any from other places?